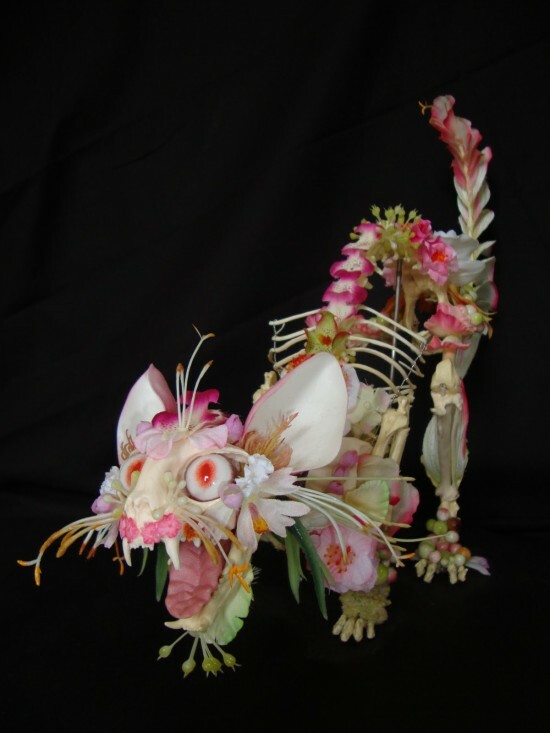 Amsterdam-based sculptor Cedric Laquieze decorates real cat and dog skeletons with colorful fake flowers to create some of the creepiest sculptures you’ve ever seen. 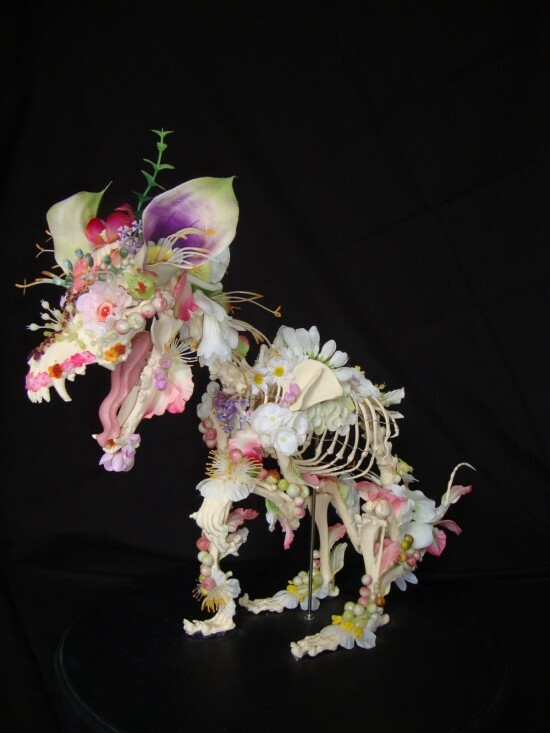 Flowers and skeletons make one strange combination, but that’s probably what makes Laquieze’s sculptures so intriguing, the contrast between morbidity and beauty. 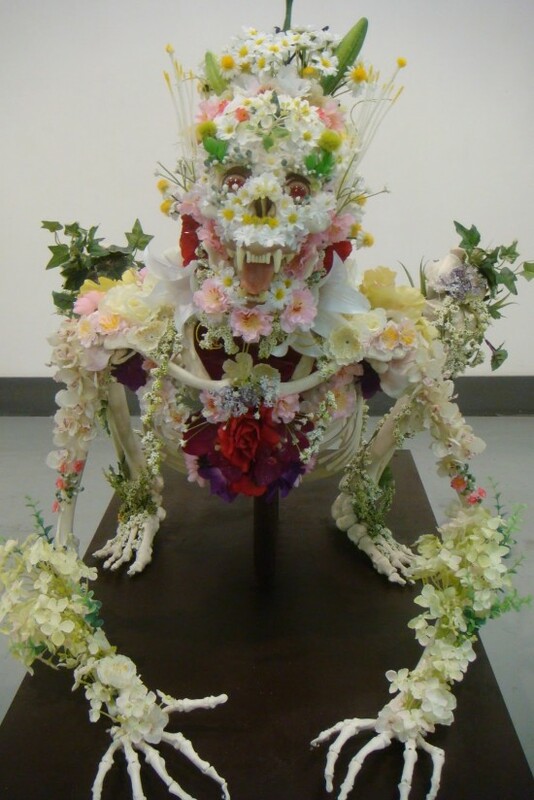 He takes cat and dog skeletons and applies various fake flowers on them to make them look…prettier. 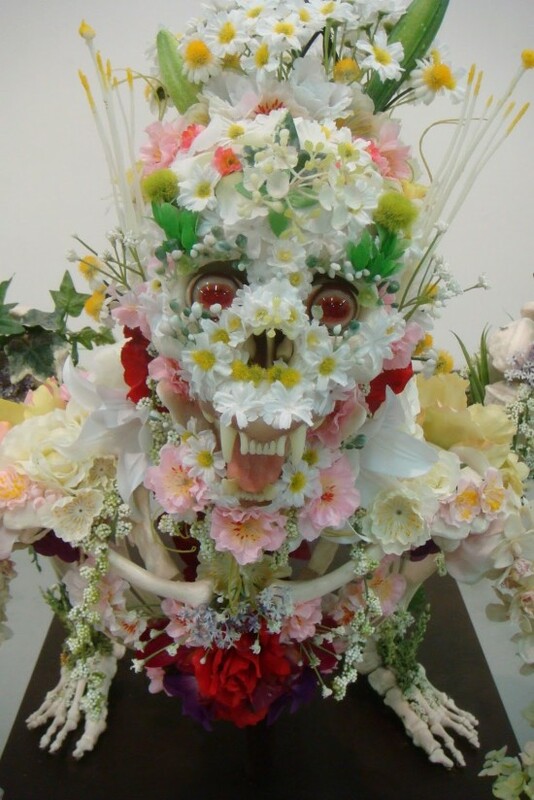 I don’t care how many flowers he glues on there, these skeletons are still creepy as hell, if you ask me. 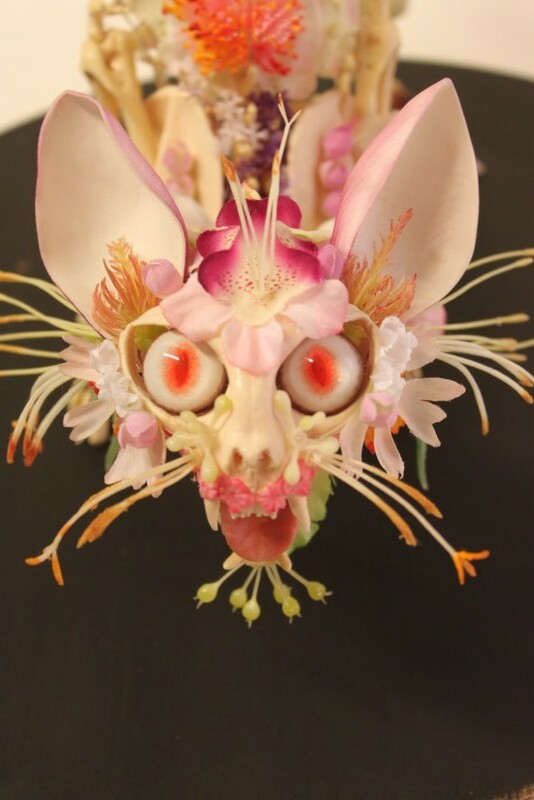 Originally hailing from France, Cedric Laquiez has specialized in using all kinds of dead things for his artworks, from animal and bird skeletons, to dead insects and plants. 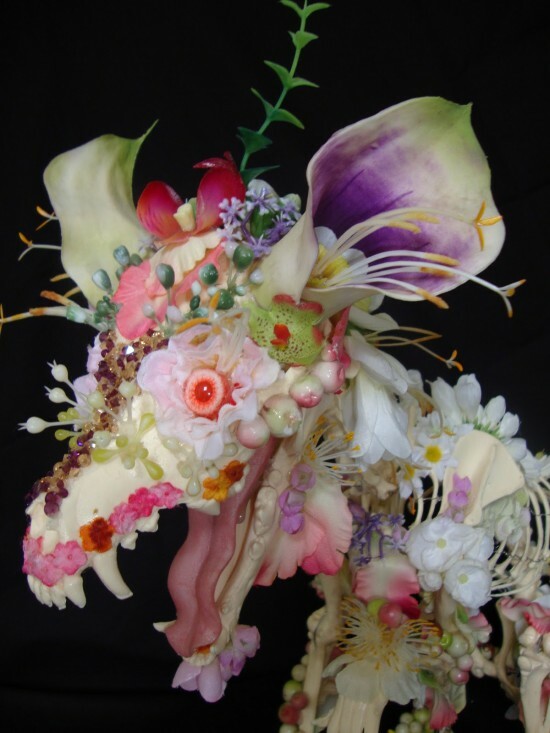 Head on over to his blog, if you’re into this stuff.